Working as a team, participants will face physical, emotional and mental roadblocks throughout their journey. They will lean on each other to overcome them and complete the mission while developing both themselves and the team. This experience will provide both our soldier and civilian participants with the opportunity to share stories, create meaningful relationships with other participants and navigate their own path to find their own true north. 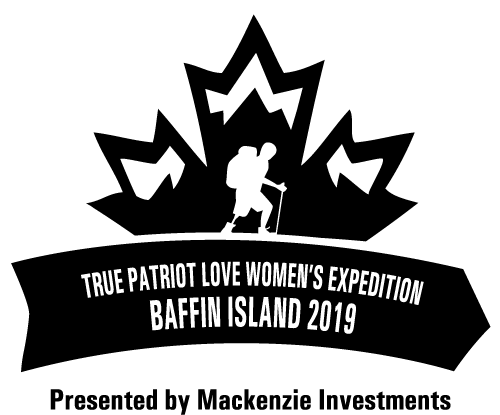 In addition to completing the physical goal of snowshoeing across the Akshayuk Pass, the expedition team will collectively raise critical funds for True Patriot Love to support Canada’s military, Veterans and their families from coast to coast to coast. Previous expeditions have raised $7.5 million collectively, which has helped fund more than 9,800 hours of peer-to-peer mental health counselling, enabled enhanced job training and recruitment, provided 144 Veterans with rapid job placement, and allowed for a $500,000 investment to create a virtual reality therapy program for Veterans living with PTSD which is now being used across the country.